For this edition we invited Scheng Fou, drummer of the band Guts Pie Earshot and other projects, for a interview. We will talk about the underground scene in Germany and Europe, and how to survive as a musician nowadays. Klang#030 is presented in portuguese and german by Laura Leiner (aka LauraL, M.i.p.V _ Músicas intermináveis para Viagem), Brazilian musician and journalist based in Berlin. The program bring together interviews with local artists, cultural and alternative tips, live music and music made in Berlin. 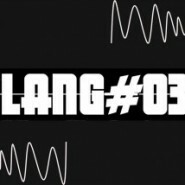 Filed under * Feature, Klang 030, MUSIK MAGAZIN / INTERVIEWS, PODCASTS.